The purpose of the barrel band retainer is to secure the barrel band in the correct position on the stock, thereby maintaining the position and fit of the stock and handguard to the barrel. 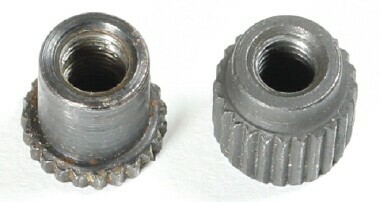 Several minor variations of the barrel band retainers exist. Research is continuing to determine if the differences had more to do with who made them as opposed to one proceeding the others. 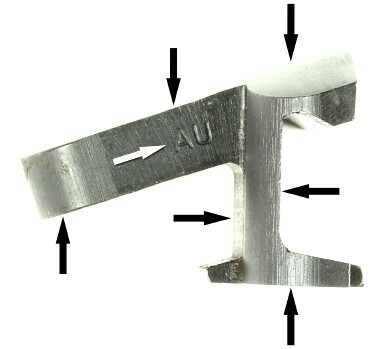 In the examples below, note the shape of the head that engages the front of the barrel band, the shape at the opposite end, and the presence or absence of the line down the center of the retainer. 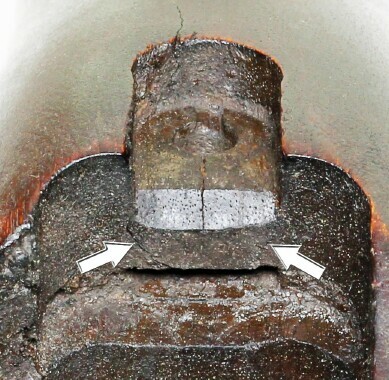 determine which parts needed improvement before full production was started. During testing it was discovered the fit of the recoil plate to the receiver and stock impacted accuracy. of the type III recoil plate by mid 1943. Production and use of the type III recoil plate continued throughout WWII and after. 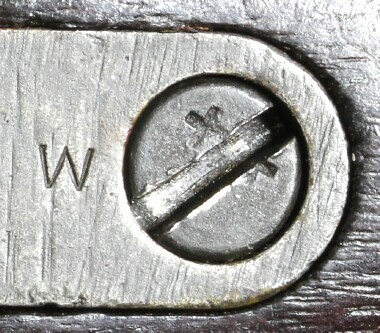 Recoil plates manufactured during WWII normally have a manufacturers mark. Advances in casting technology led to the approval of recoil plates made by casting shortly after WWII. Both cast and milled recoil plates were manufactured after WWII. of the rear half of the recoil plate. Cast Recoil Plates were manufactured post WWII. type III versus type II recoil plate. 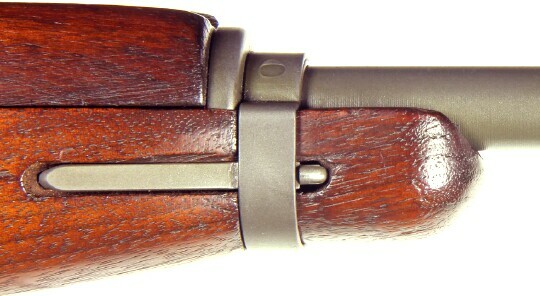 channel at the front of the stock, requiring a slight amount of downward pressure on the barrel to mount the barrel band to the stock and handguard. Over time it is common for this fit to loosen. The result is a loss of accuracy that can be significant. The best way to correct a loose fit is to try a number of recoil plates until one fits snugly. Since most people do not have access to a gaggle of recoil plates or a retailer who can/would be of assistance, the following is presented as an option. 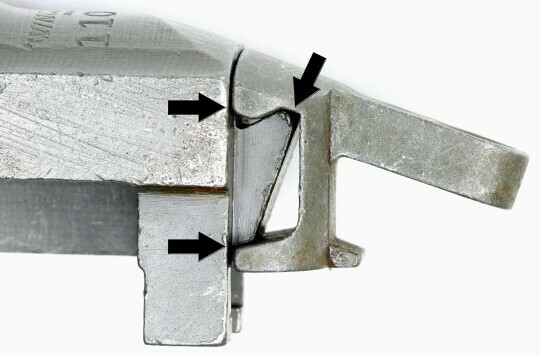 Before trying this be aware the key is "very light" tapping to avoid damaging the recoil plate. Sit the bottom of the recoil plate on top of an anvil. fits into. The screw should be turned until fairly snug, but no further. 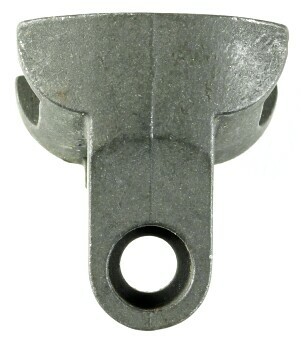 The type II recoil plate escutcheon/nut was introduced very late in 1943 or early 1944 as it provided a more secure means of securing the screw to the stock. 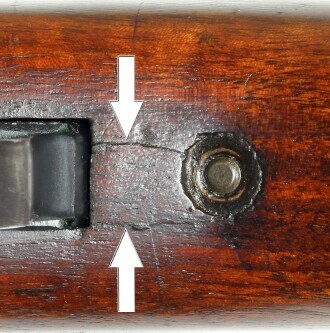 the wood between the escutcheon and opening for the rear of the trigger housing. 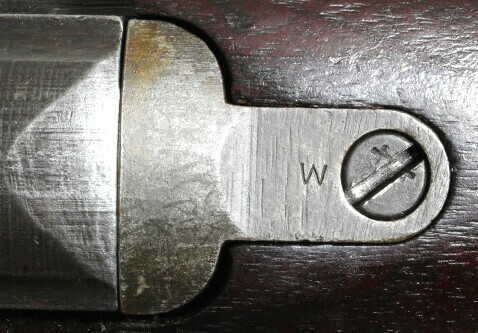 Recoil plate screws used on late Winchester and Inland carbines sometimes have what appears at first glance to be one or two X's stamped on top. The alignment of these two marks can also make them appear to be two plus marks ( ++ ) as the horizontal lines are oriented along the same axis. make extra money. The purpose of the ++ is a good example of markings that had meaning to a subcontractor but served no other purpose.